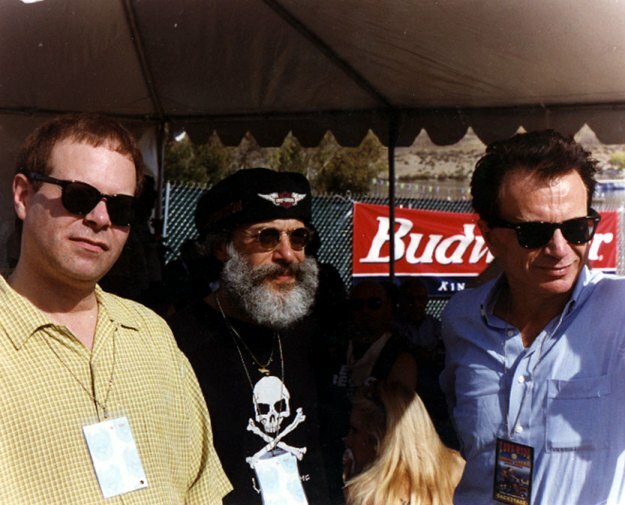 Victor DeLorenzo, Dr. Martin Jack Rosenblum, Robert Blake: California, 1999. DeLorenzo and Rosenblum performed at the BB King Blues Club in LA with Eric Burdon, and at the Love Ride outside of the city where this photograph was taken with Robert Blake who spirited Victor and Martin Jack away to his private retreat. Click here to return to the Photo Link Page. Click here to return to The Holy Ranger Home Page.